Geeks Fish Too: How come you always catch fish? I spent some time getting lined up from a distance so the kayak was positioned along the shore about 30ft away. 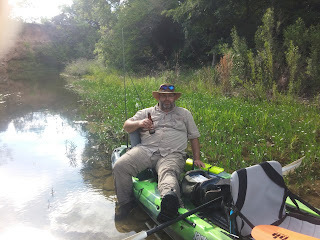 My goal was that when I cast, I would cast long ways across the weed bed perpendicular with shore so that I could cover as much of the weed bed as possible with one cast. My first cast got me a blow up and a swirl, but no chase. This wasn't a Guadeloupe, it had to be a largemouth as they don't chase this time of year. So, casted again. This time he didn't miss and the fight ensued. I failed to tell you at the begging of this story that I was using an Ultralight with a 1/4oz buzzbait. Yes, I had a 'reel' fight on my hands. Not only was my tackle very light, the bass was in the weeds! up with the fillet knife. But back to how we started... the main point here is that the bass was exactly where I thought it might be. How did I know this? Mainly from fishing so many times where I found at the end of the day the big bass will cruise the edge of weed beds. There's one major reason for this. Bait Fish. You want to catch big fish? You have to think like a bait fish. You have to know where the bait fish will be. When you cast, watch your lure. Are you seeing bait fish jump in front of it or around it? If No, then you are likely wasting your time. If Yes, then you are likely in the right place. Through the middle of the day, I had been casting in shady areas where I knew the middle sized bait fish would go. I caught a few small fish, but the big-gun's weren't around. But I kept seeing small bait fish all day. If you aren't seeing bait fish, then keep moving. Wherever you are at is not a good spot if there's no bait fish. So how do you generally tell where the bait fish are? Usually bait fish can handle much warmer water than big fish. So you'll find a lot of bait fish in the shallows and usually in the extremely shallow water. Look for areas where very shallow water quickly drops off into deeper water. Look for areas where there are weeds on the edge of deep water. One of the issues with weed beds is that they are usually along shore. It can sometimes be a trick to get a buzzbait or a spinner bait into the edge of the weeds without getting snagged up. The solution is to start at the end of a good stretch of weeds and put your kayak right up against the weed bed. Then cast up or down the shore so that your bate passes right in front of the weeds. This is especially useful at those times of year when algae is bad and you can't cast into the weeds because your lure gets "slime'd". It is important to note that as you do this, try to cast your lure so it slips inside the edge of any weeds that stick out. don't be afraid to let it bump into individual weeds along the way. 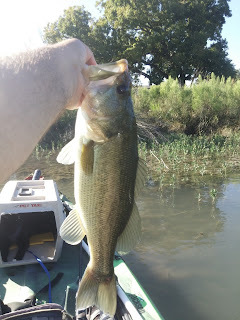 Sometimes bumping into a weed is the trick that stirs up a bass. It must make them think that the critter above them is having issues and is vulnerable. Timing on doing this trick is important. During the summer, the big fish will be in deep water and will only come up to the weeds very late in the day or very early in the morning. As temperatures moderate, they will hang closer and closer to the weeds. Come winter time, they will have their tail practically on shore to try to get into some warmer water. Here is where you'll catch fish in "weed water" that is only 1ft deep or less! During the summer, the very best weed bed is one that is right next to a deep hole. These are the best because bait fish will be up in the weeds and the big fish will be down in the deep water. Throughout the day as the big fish get hungry, they will cruise up into the weeds looking for a snack. They will stay long enough to get warmed up and then they will head back to deep water again. If there's more than one big fish, they will take turns. Yes, I said they will take turns. How do I know this? I've seen it and look for those spots and remember them. No, this isn't "the spot" but it's a good one. 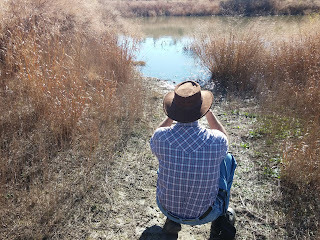 I learned this process on the Llano river. There's a spot that I will leave nameless unless you want to go fishing with me. But this spot is positioned in such a way that there is a weed bed right immediately next to a drop off into water that is 6-8ft deep. This is pretty deep for the Llano River. And guess where the fish are during the summer heat? fish in a large stretch of water AND they are close to deep water where the big fish like to hide. These are the kind of things you want to look for when you fish. There are 3 major rules for all of the above: Bait fish, Timing, Place. Without all of these coming together, your efforts are a waste of time. - Winter: Middle of the day but can be all day depending on how cold. - Winter: All day long. The differences are few, but weed beds on shore increase as the weather gets colder where weed beds away from shore tend to be colder and bass are not as likely to stay there. Weed beds in less than 2ft of water produce better in Winter or early morning in fall/summer. Weed beds in more than 2ft of water produce better in Summer. Weed beds near more than 6ft of water produce the best for summer and winter. Look for your bait fish. Check the temperature. Look for structure where the temperature is right. Professional anglers will know the term "structure", but for the rest of us, this means a place where fish tend to hide. 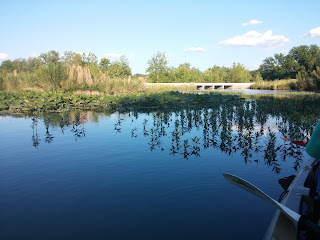 Weeds, lily pads, a underwater brush pile, a dock, an overhang... the list goes on and on. You should always be thinking about where a fish might park themselves if the temperature is right. For those of you who are not in Texas, remember that these rules are for Texas rivers in general. I'm sure you could apply some of this to places north and most certainly west and east of Texas. The fact is, that bass like to eat smaller fish in cool water in hot weather and warm water in cold weather, and they like to hide somewhere safe and comfortable in between meals. 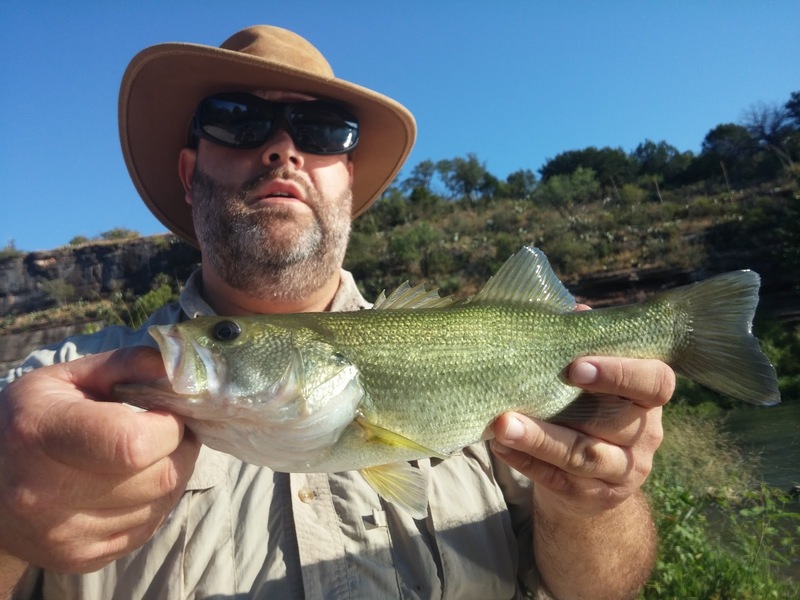 If you want to catch them, you have to determine how the bass can be in the water they like the most and be near bait at the same time. Now I will say something that is slightly controversial: Fish topwater/surface lures any time the water temperature is close to 75 degrees. However, I used to be skunked on a regular basis when I refused to try buzz baits at the "Wrong time of year". So be careful how you apply the rules. Topwater works all year in Texas in most places if you follow the rules above. Those who say they don't are missing out big time. to remember where it is. These are the ingredients, you have to find the recipe as you fish. And again, fishing the same places over and over, year after year will produce the best results. You'll learn better where the fish go at certain times. So the next time my buddy asks me how I can catch fish every time we go out, I will refer him to this article. I hope it will help you as much as it helps him!